This newsletter issue was sent out to 198,353 newsletter subscribers on Tuesday, October 4th 2016. If you are not subscribed yet, feel free to subscribe to our email newsletter anytime. 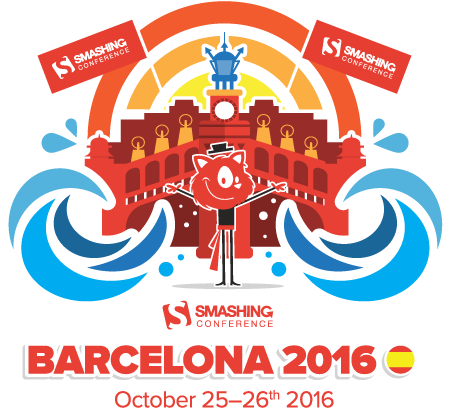 With SmashingConf Barcelona 2016 coming up on October 25–26th 2016, we’ve got Peter Sunde, Sara Soueidan, Jen Simmons, Stephen Hay, Jeremy Keith, Maciej Ceglowski and Jonathan Snook joining our fantastic speaker line-up, who’ll be answering those questions, and more! We’d love to see you in magnificent Barcelona, so go grab your ticket if you still haven’t! When Thomas Chrétien was working on a pricing page for a client, he looked at his favorite products for inspiration and how they communicate their pricing options. Fascinated by the matter, Thomas soon started to collect his findings; in a Sketch file at first, and as that grew larger, he decided to share his collection with fellow designers and developers. 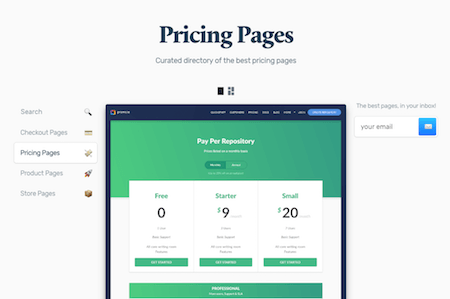 The result is Pricing Pages, a curated collection of, well, pricing pages. Getting users to sign up for your product is quite easy. The real challenge is to get them to come back and turn them into happy customers. The team behind the customer community platform Intercom knows how hard this can be from their own experience. 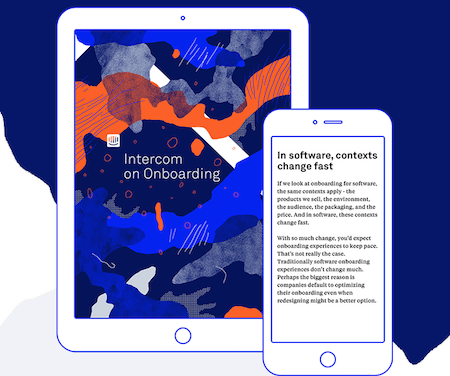 So to help you optimize your product’s onboarding process, they boiled their most valuable lessons learned from onboarding tens of thousands new users down into one, free eBook: Intercom on Onboarding. When you’re working on an interface design together with your team, it can be a pain to keep track of the most up-to-date assets. To spare you the drill of constantly syncing and versioning changes, you might want to give Figma a try. The interface design tool is not only intuitive to use but also comes with a handy multiplayer editing feature, so you and your team can work together on the same file, in real time. A built-in commenting feature even lets you communicate on the design. 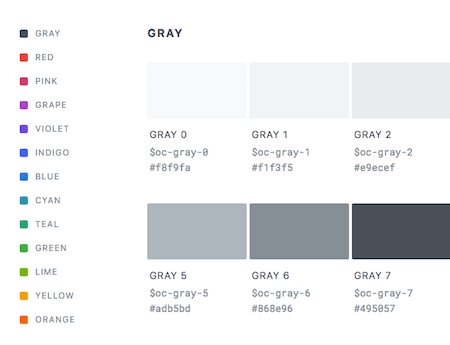 Choosing the right colors for a project is a challenging task, especially with accessibility in mind. That’s where Open Color comes in. The project attempts to simplify your color decisions by providing a color scheme for UI design that is tested in deuteranopia and protanopia (variations of red-green color blindness) mode. The scheme contains gray plus twelve colors with ten tints and shades each that you can use for fonts, backgrounds, borders, etc. 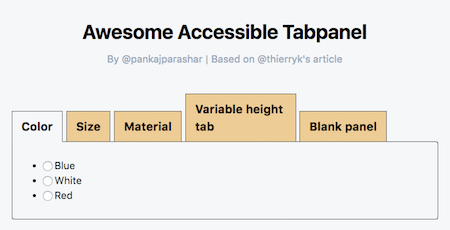 Tab panels are a double-edged sword. They might be useful to save screen real estate, however, from an accessibility point of view, they are a real bottleneck. Thierry Koblentz now published an extensive article about the issues that come with them (and their companion jump links in particular) and how we could do better. It’s always nice to see websites that have a strong focus on art direction. We stumbled across a few inspiring examples recently and, well, we don’t want you to miss out on them. The article “Devils, Deals and the DEA”, a co-publishing project of ProPublica and The Atlantic about Chapo Guzman and why he was the biggest winner in the DEA’s longest running drug cartel case, is one of them. A straightforward design without any frills, perfectly matching this piece of in-depth journalism. 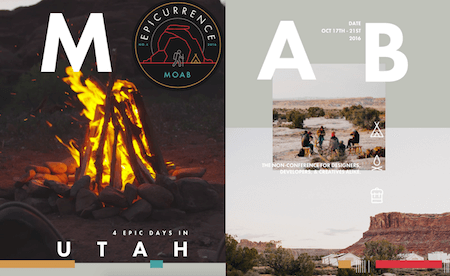 Another example is the website of Epicurrence. The event for creatives describes itself as a “non-conference”, and well, this uniqueness is also reflected in the design. There is no strict separation between textual and image content, elements overlay each other, yet there is a lot of whitespace, a lot of room. Perfect for an event that will take place mostly outdoors, in a National Park. With so many techniques, tools, style guides, design patterns, strategies, abstractions, frameworks and boilerplates available nowadays, what do you really need to know to keep your workflow fast, smart and efficient? 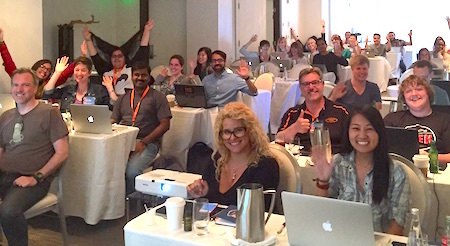 That’s exactly what our classes are all about: practical front-end and RWD workshops that will help you become better front-end developers and designers, today. Or, if you’d like to run an in-house workshop at your office, feel free to get in touch with Vitaly at vitaly@smashingconf.com and briefly describe what problems you’re facing and would like to solve. Don’t worry about the costs — we’ll find a fair price for sure. Get in touch — it’s that easy! Takeaways From Mobile Web Behavior According to Ian Carrington, Google’s mobile and social advertising sales director, speaking at Mobile Marketing Live back in 2012, more people in the world have access to a smartphone than a toothbrush. 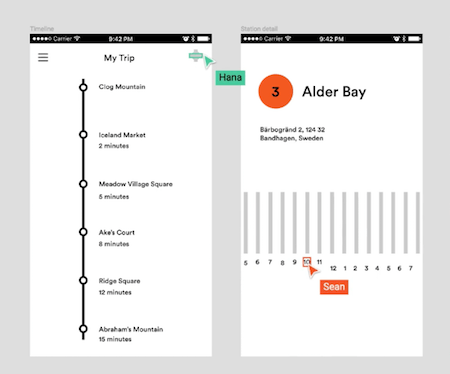 Size Matters: Balancing Line Length And Font Size In Responsive Web Design As we refine our methods of responsive web design, we’ve increasingly focused on measure (another word for “line length”) and its relationship to how people read. The popularization of the “ideal measure” has led to advice such as “Increase font size for large screens and reduce font size for small screens.” While a good measure does improve the reading experience, it’s only one rule for good typography. Another rule is to maintain a comfortable font size. Powerful Workflow Tips, Tools And Tricks For Web Designers Designing and developing can be time-consuming, especially when the project involves a new challenge, putting the team or freelancer into unknown territory. Moreover, time is a key factor in productivity. Working efficiently enables us to deliver better value at a competitive price.